(Bloomberg) -- A political party linked to exiled tycoon Thaksin Shinawatra claimed victory in Thailand’s election and said it would seek to form a government, challenging a military-backed group that led in initial vote counts. 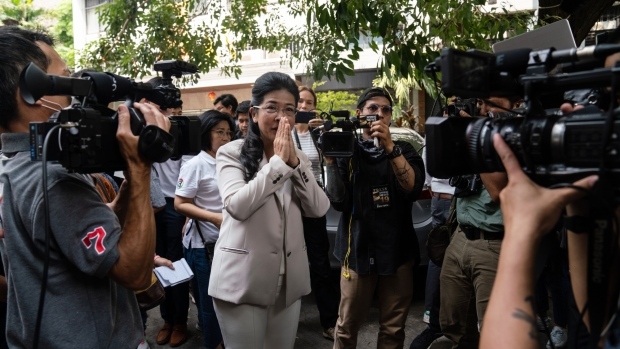 Pheu Thai won the most seats in the election and the military-appointed Senate should follow the wishes of voters, Sudarat Keyuraphan, the party’s candidate for prime minister, told reporters in Bangkok on Monday. While local news outlets showed the party winning the most seats, election authorities still haven’t released official tallies. The military-backed Palang Pracharath party won 7.7 million votes with 94 percent counted, according to unofficial results posted on the Election Commission’s Facebook page. Pheu Thai came in second with 7.23 million votes. The Election Commission said on Monday it would announce the winners of 350 constituencies at 4 p.m., after several delays in giving seat totals.